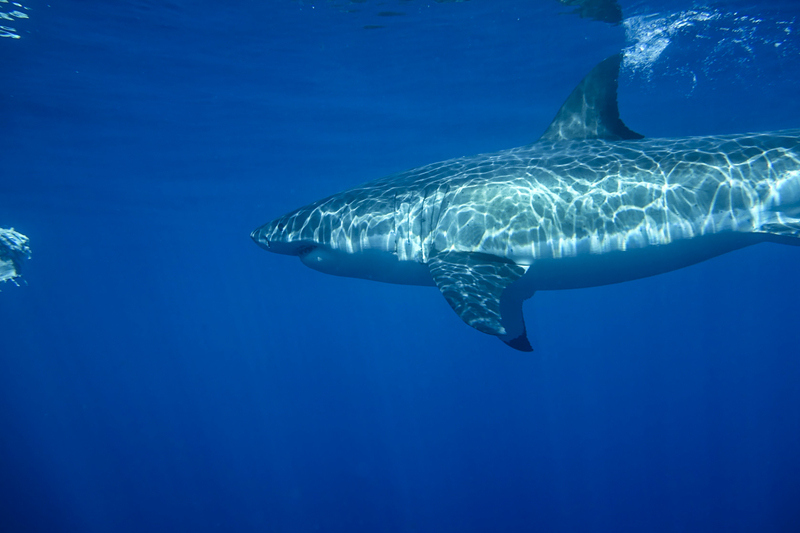 The Atlantic White Shark Conservancy Trip and More! 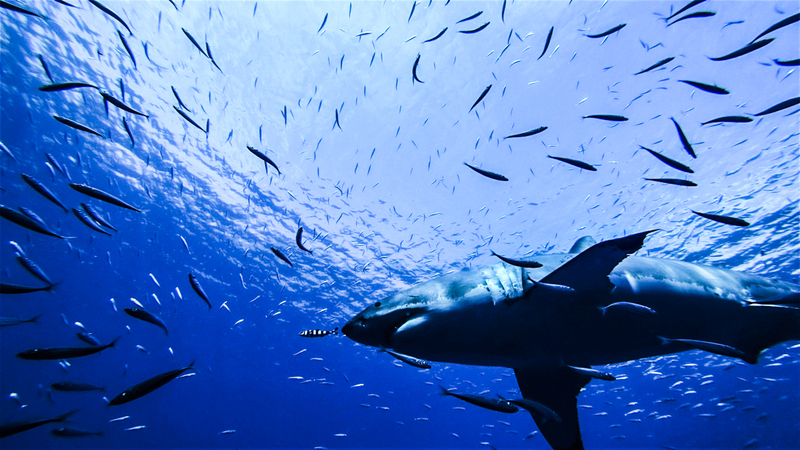 Lots of sharky good action here at Guadalupe Island! The crew aboard the Nautilus Explorer is kind, attentive, and great at managing the dive deck. Day 1 was totally jawesome in every way– food, service, and shark activity. We can’t wait to see what Day 2 has in store! My wife has a fear, love, and fascination for great white sharks. This adventure IS the very top of her bucket list. I would never have expected it would turn out to be mine too! 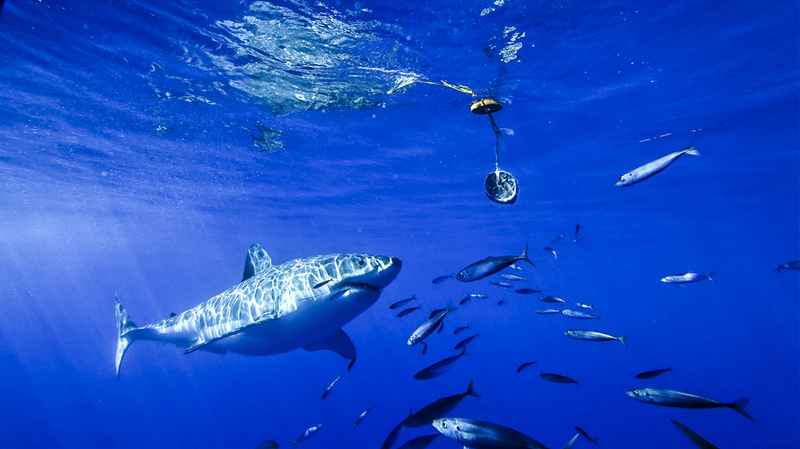 Where else in the world can you get into comfortably warm, incredibly steady, and super clear waters to witness many of the world’s largest great white sharks than Guadalupe Island? The Nautilus crew and great friends you meet on the excursion is easily the cherry on top. We will never forget it! Nautilus and their crew have created a truly out-of-this-world experience. 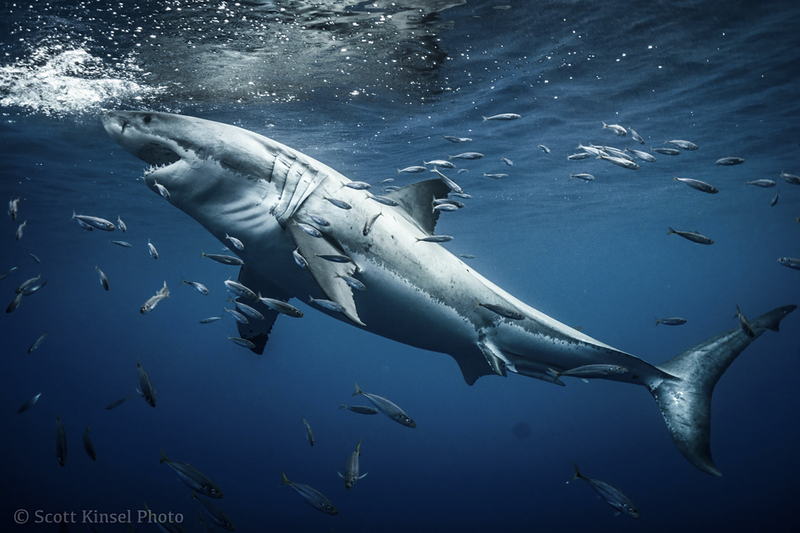 If you have ever dreamed about diving with great whites, book this trip. You will not be disappointed. Words cannot describe the feeling you get when you are only inches away from great white sharks as they cruise by your cage and look you right in the eye. It is a moment you will never forget. The accommodations are first class and the crew works tirelessly to take care of your every need. Super, krasa a nadhera, v jednom. Potapeni bylo bez chyby. Jednou se tu vratime. If you dream of being face to face with great white sharks, look no further than Nautilus Liveaboards. Hands down one of the most memorable trips of my life, and I’ve been on many liveaboards before. The Nautilus crew works tirelessly to make your experience an amazing one. From wrangling sharks to give you breathtaking up-close encounters, to excellent around the clock service, delicious food prepped three times a day, comfortable accommodations and a fantastic program, all come together to make this a most exhilarating week at sea. The most impressive thing I’ve seen this week in Guadalupe was seeing “Sad Face” chomping a piece of bait right in front of us… then giving a subtle high five to our cages! The whole thing was impressive, the quality of the operation. You guys have been taking very good care of us, I think I even gained a couple of pounds 😀! The ship is beautiful, the sharks were amazing, and the crew was incredible! Definitely doing another trip with Nautilus! 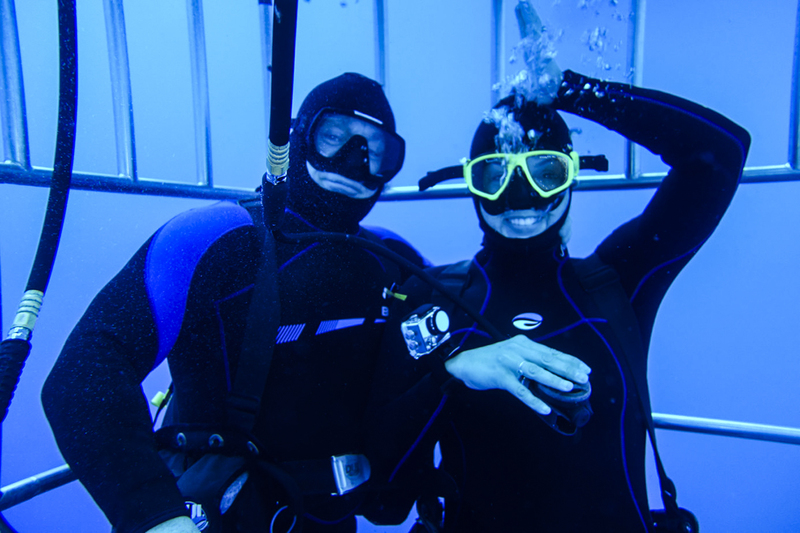 Guests take a great underwater selfie! This was by far one the best experiences of my life! It was amazing, words cannot describe it. The sharks were majestic and made me love them even more! The crew was incredible and made me feel right at home. There is no doubt that I will be back real soon!! It has been a very good experience. Everything has been outstanding so far. The ship and the crew have total my appreciation. The trip so far has been AMAZING! The crew is so friendly and helpful. It is great that they are so knowledgeable on the great whites. The food has been outstanding. Taco night was so fun and it was great to have it on the top deck with music. Absolutely no complaints whatsoever! I look forward to the next two days!! Truly a life experience I will never forget. Your hospitality is top notch and the food was amazing. 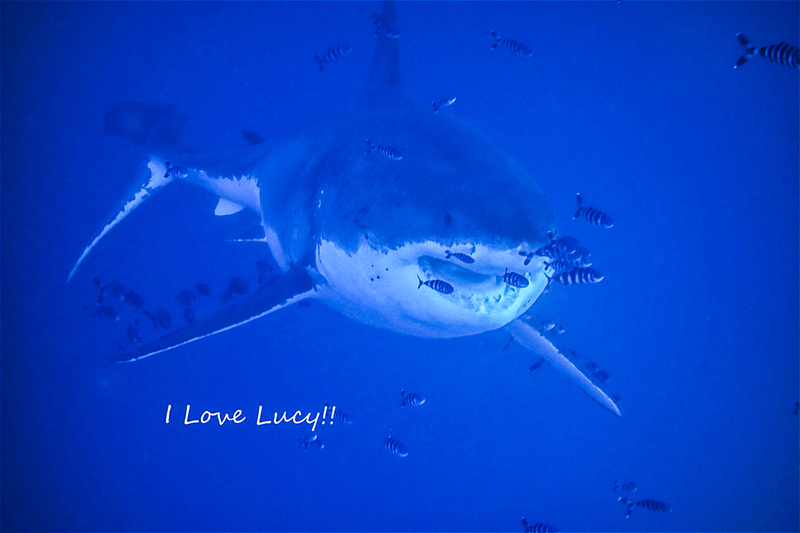 There is a lot to love about Lucy! This trip was one of the best vacations I’ve ever been on. Being able to go down into the world of such magnificent animals and see them up close and personal was incredible! The crew was wonderful and attentive and having shark expert Nicole Naisby from the Marine Conservation Science Institute on board was so educational and fun. 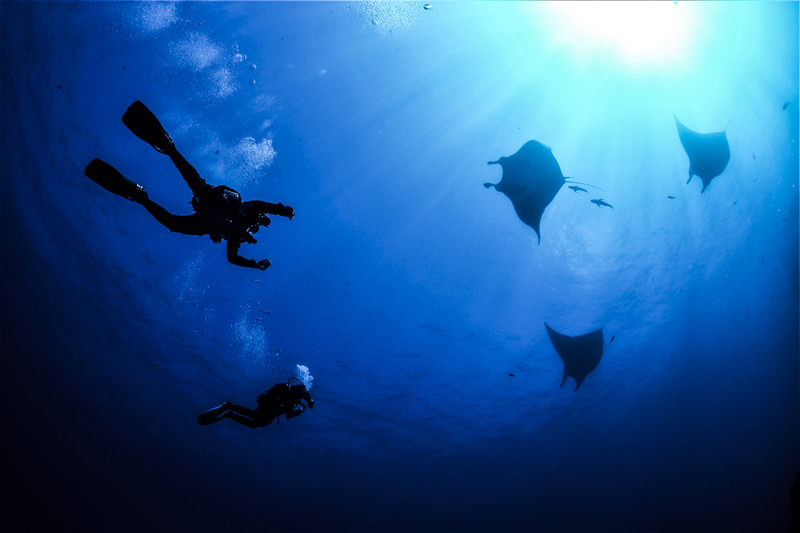 Each dive brought new photos and excitement. Sometimes it was an unknown shark. Other dives captured known sharks ranging from “Andy” the entertainer to “Lucy” the magnificent with her personal retinue of pilot fish. Kudos to the organizers and staff who have made this trip possible. This had been an awesome adventure! Randy and I have been treated like royalty and have had a blast. Food #1, Staff #1, Sharks – OFF THE CHART! Hope to back in the next year or two. Loved being with Nicole! Ruth and I booked this trip over a year ago and counted down each day. We have not been disappointed. From reception until starting home, everything has been top notch. We have been on other trips but nothing compares to the crew, service, food, and of course, the sharks, who have cooperated immensely. 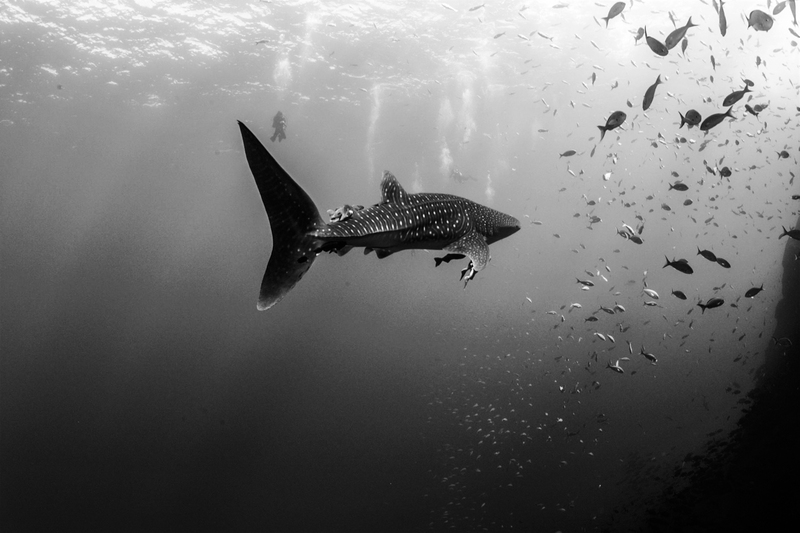 We will take back the memories, and with the help of all our friends, pictures and videos we hope to bring some more interested divers with us in the near future. Don’t change a thing, and Nicole was fabulous in her briefings and assistance! Recent stories, comments, and news from our guests onboard the Nautilus vessels.